China Cup Sailors Learn to Sail the Kiwi Way! Home/All News/China Cup Sailors Learn to Sail the Kiwi Way! For the second consecutive year, the China Cup International Regatta (Windrider Sailing Club), has sent a group of young sailors to Royal Akarana Yacht Club, to experience the Kiwi lifestyle in a unique way. The students have the opportunity to learn to sail at our well respected sailing academy, under the supervision of our Yachting New Zealand qualified coaches. 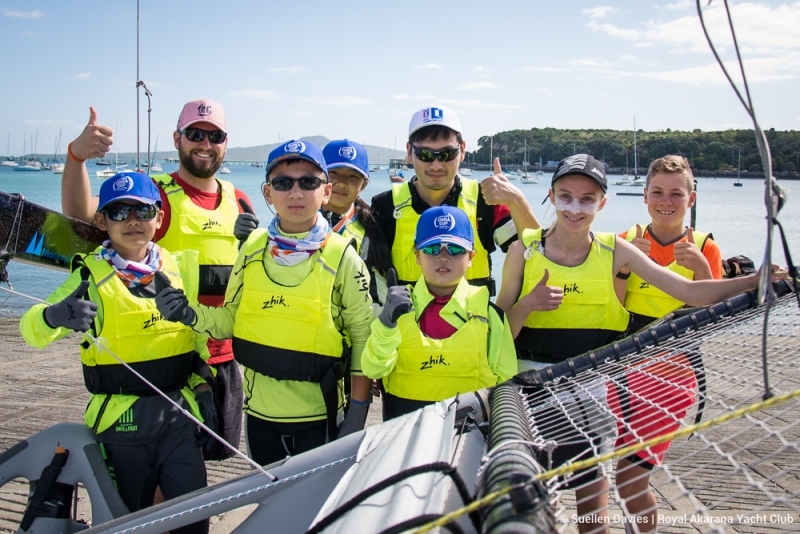 Led by Nathan Laurie, who spent three months in Shenzhen, China coaching the students at their home club, the young sailors spend most of their day on the water in the RAYC Optimists. Royal Akarana Yacht Club was selected as the base club due to our excellent learn to sail classes and high safety standards. A second group of sailors in arrive in January to once again enjoy our traditional Kiwi hospitality and classes.